No need to go to Netherlands to admire tulips. 120.000 tulip bulbs are aligned on a multicolored ribbon 160m long and 10m wide at Cheverny Castle. Your eyes would be delighted to see this wonder of nature and Cheverny gardeners. 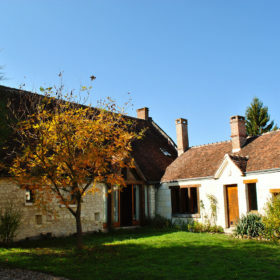 Welcome to Tulipier de Virginie, B&B situated in the heart of the Loire Valley Castle Region ! 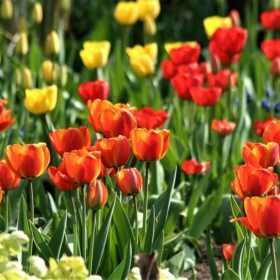 The Tulipier de Virginie will be officially opened at Easter on march 30th. So don’t wait to book your stay !